Today’s featured photo reminds us of simple pleasures. 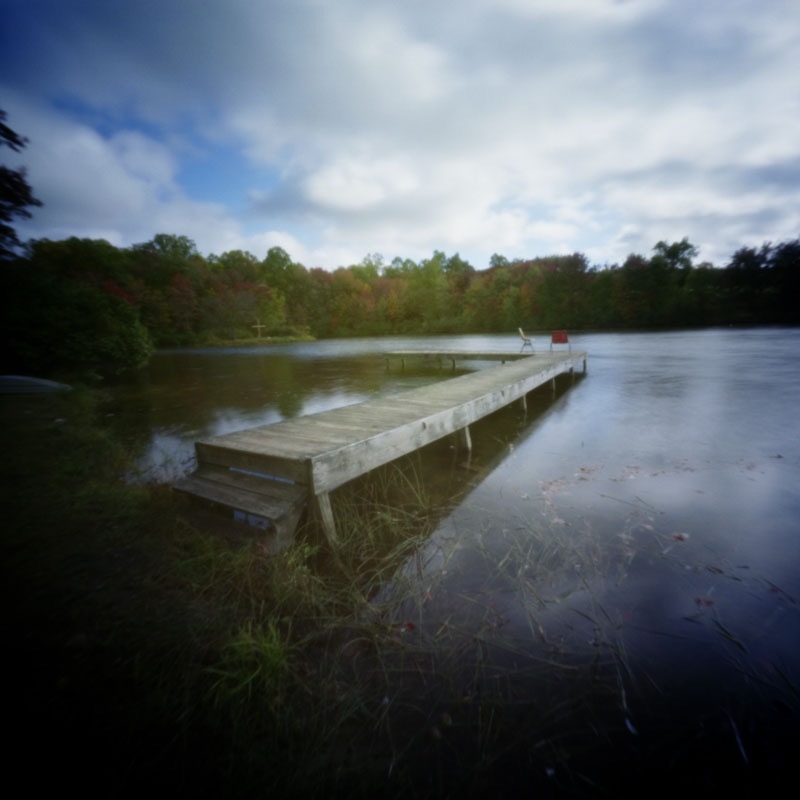 Jeff McConnell captured this warm scene with his wonderful Ondu 6×6 pinhole camera (mentioned in our camera roundup!). The leaves on some of the trees just starting to turn for Fall, and inviting chairs on the dock, make you want to just kick an afternoon away laughing with a friend and watching the clouds pass by. This photo was chosen because of the way the pinhole feel adds to the vignette of fond memories. Jeff’s images can be found on Flickr and on his personal website.